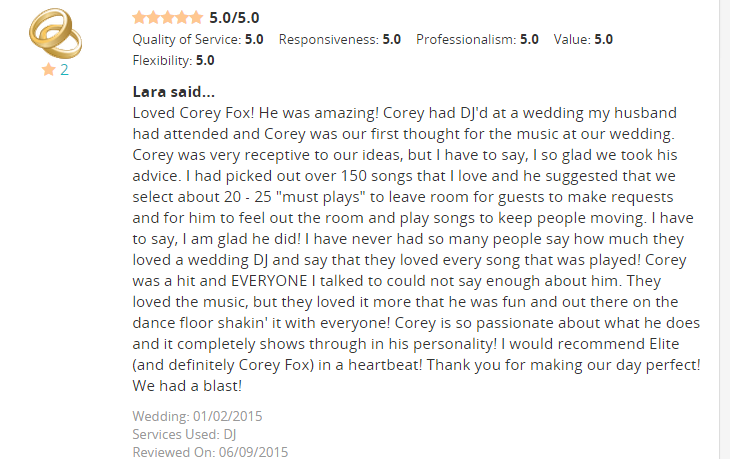 Corey Fox joined the Elite team at the turn of the new millennium as a music mixer, but it was evident from the very beginning that being an “emcee and entertainer” was his eventual goal. 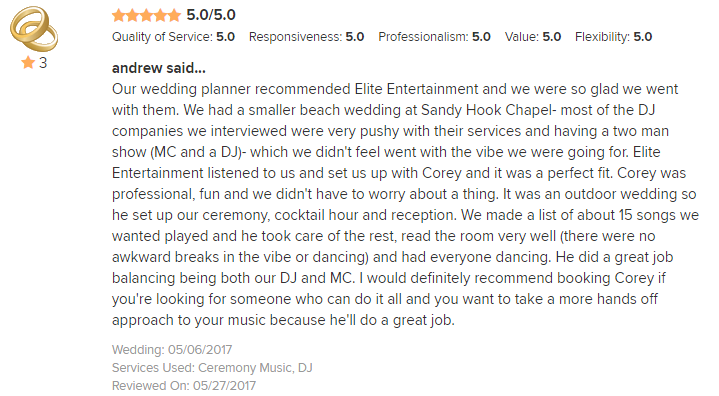 In his own words, his “love of music and making people smile” coupled with his “joviality and professionalism” are the traits that make this entertainer one of the most complete on the Elite staff. 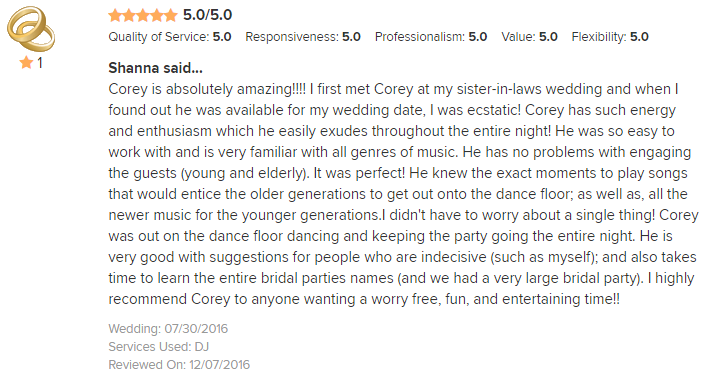 Corey was born in Bermuda and still has family on the island. 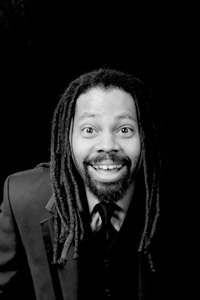 He brings his two children (Cefin and Faithani) to Bermuda every other summer and his plans are to eventually retire there. 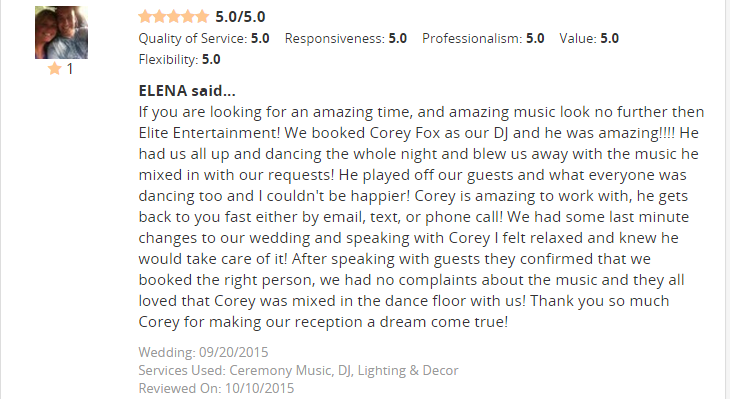 In the meantime, Corey has two careers going strong in the Garden State. 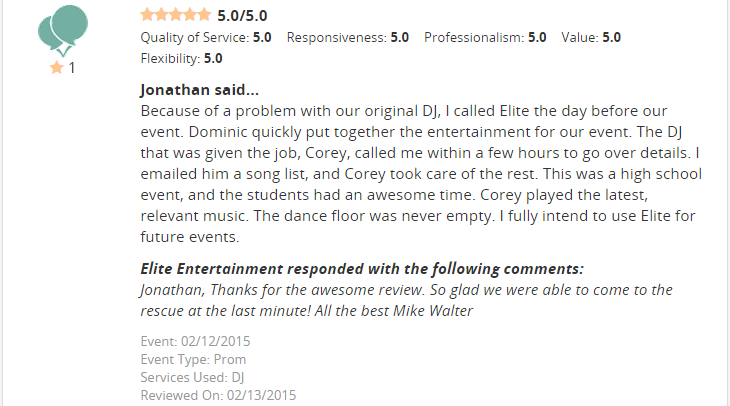 Besides being a great emcee for Elite, he also works here in the office helping Mike with operations. 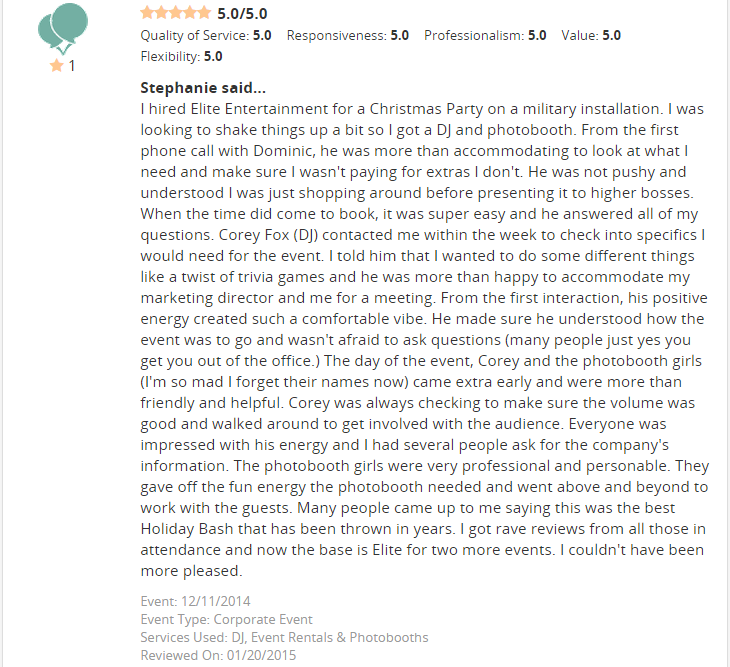 With over 1000 events a year at Elite, that’s a lot of scheduling! 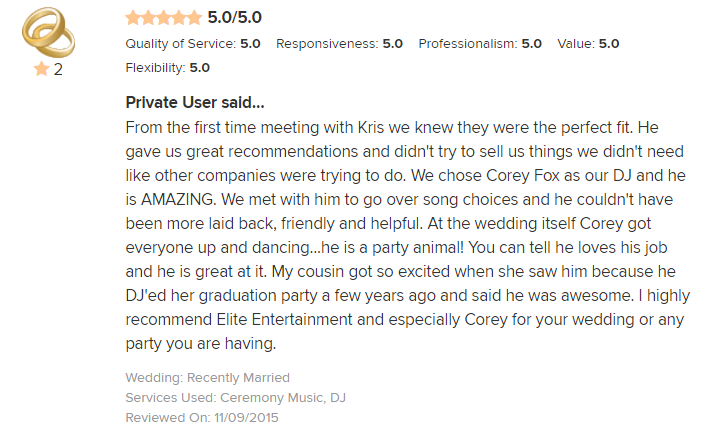 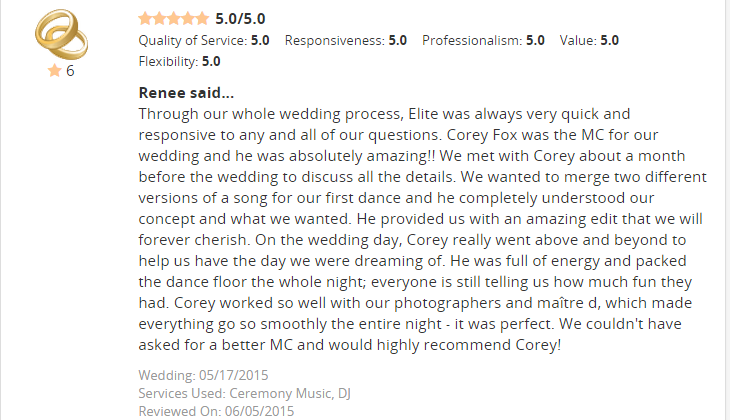 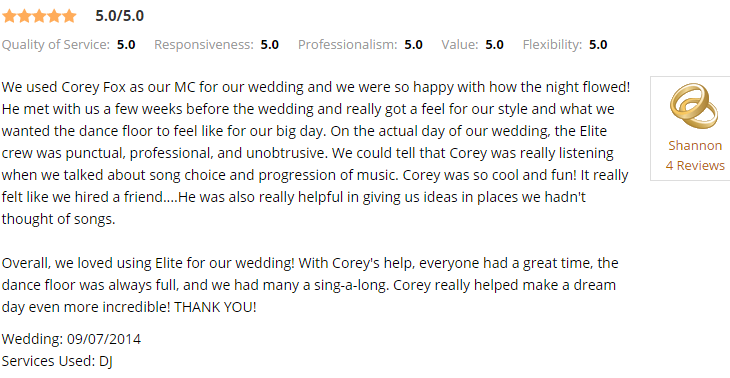 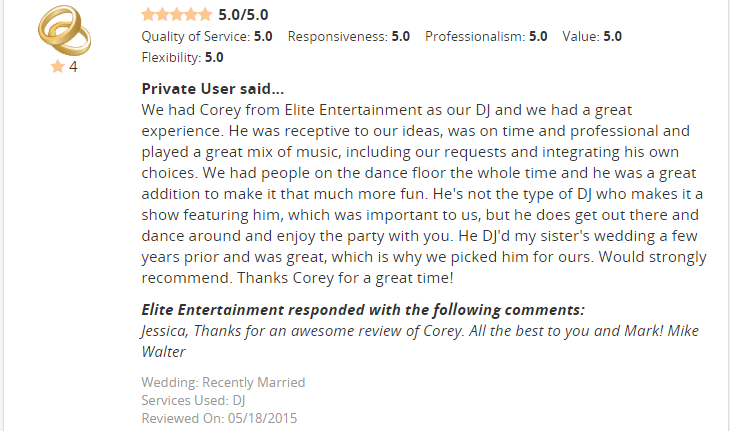 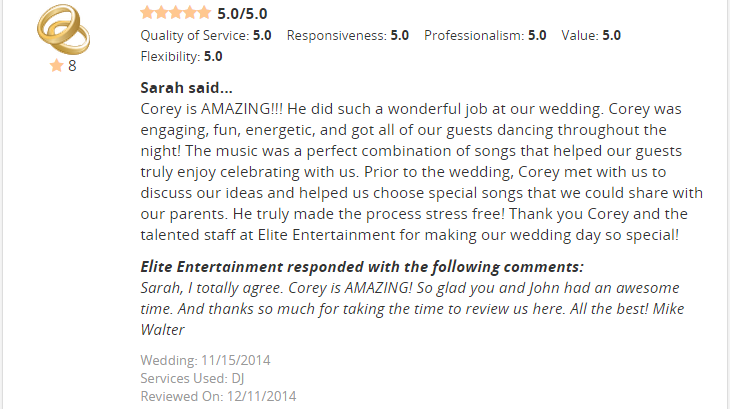 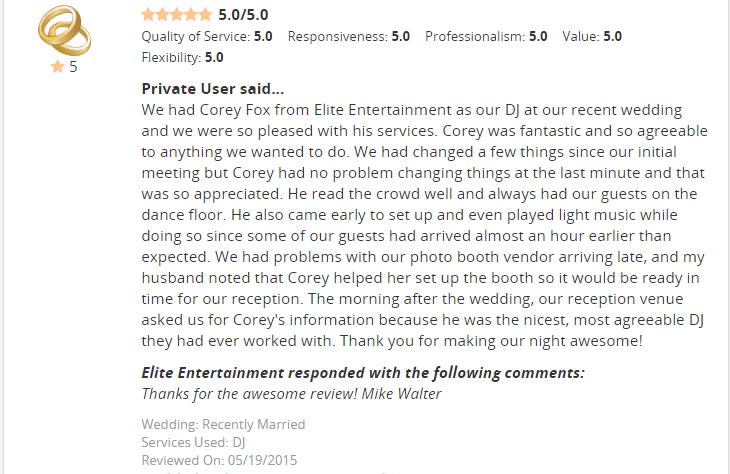 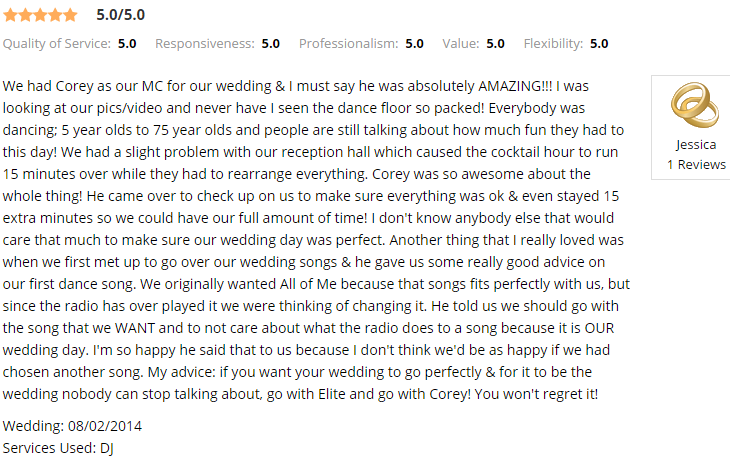 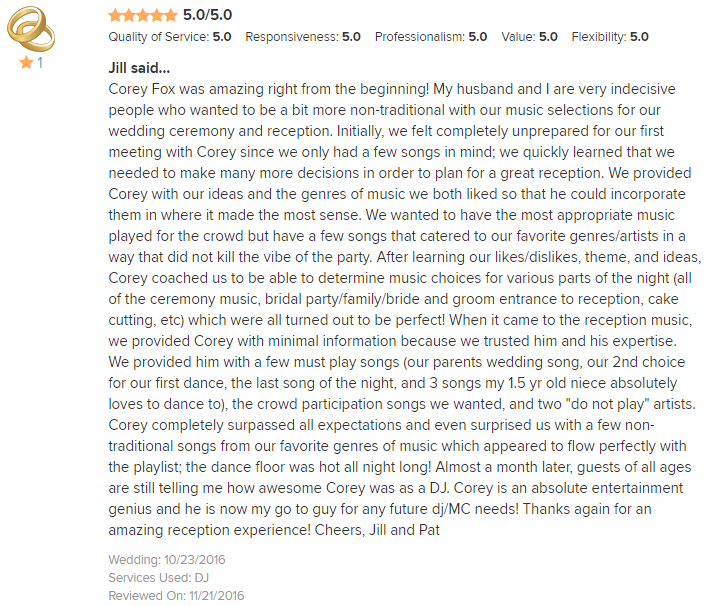 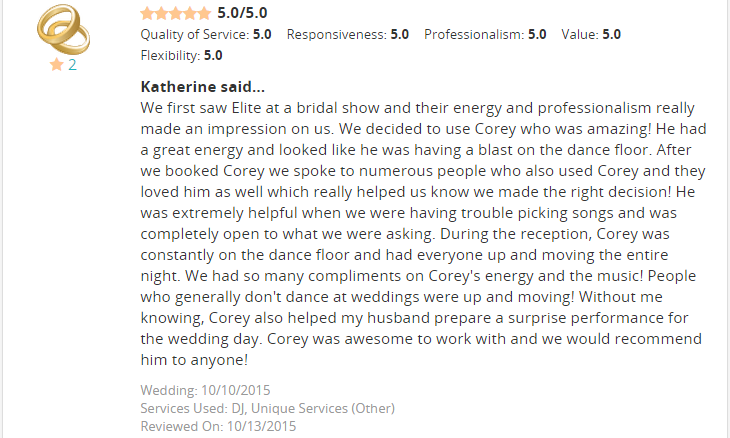 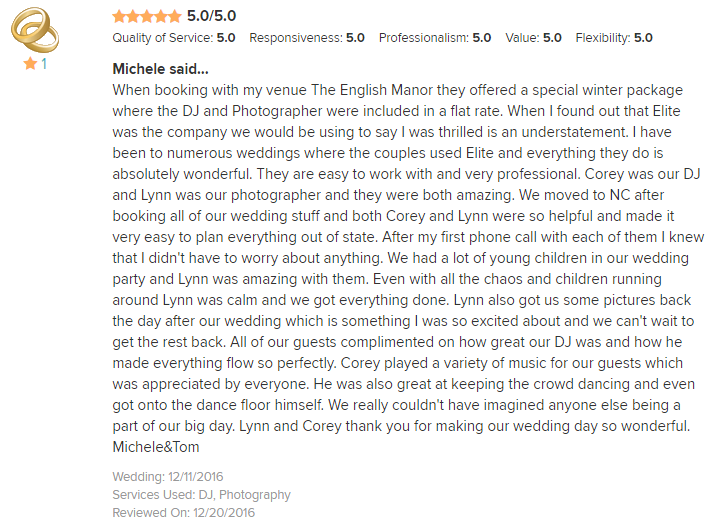 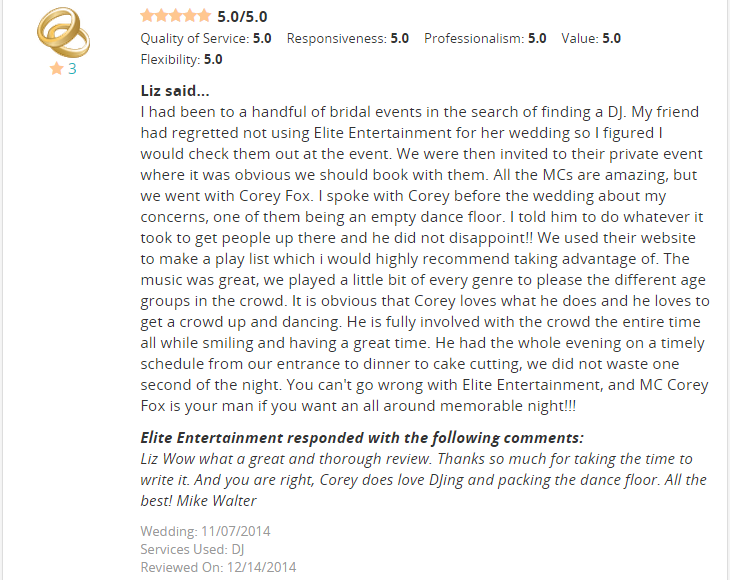 As an entertainer, Corey is as smooth on the dance floor as he is on the microphone. 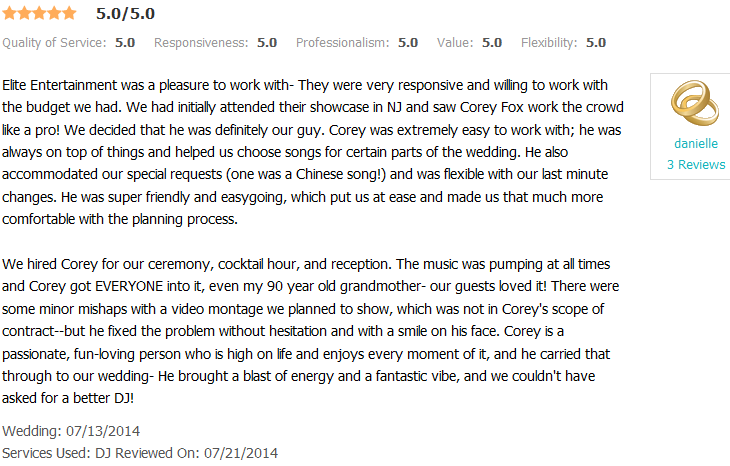 His gentlemanly manners and gregarious nature also make him very popular. 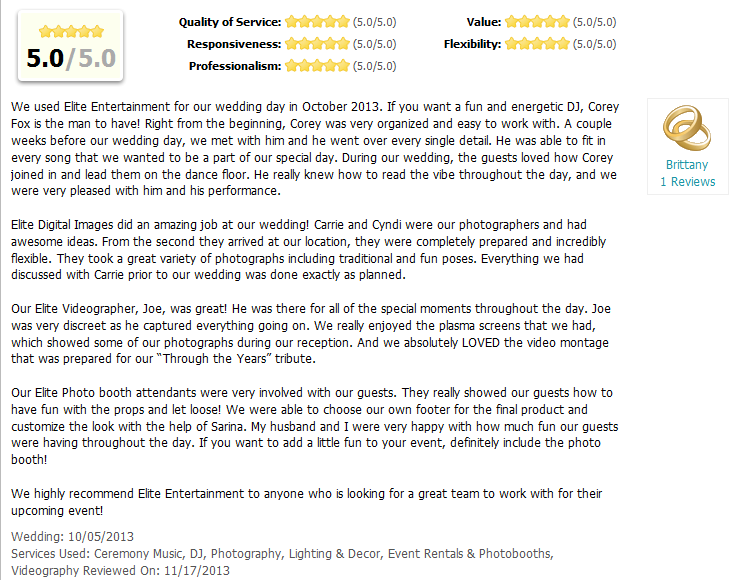 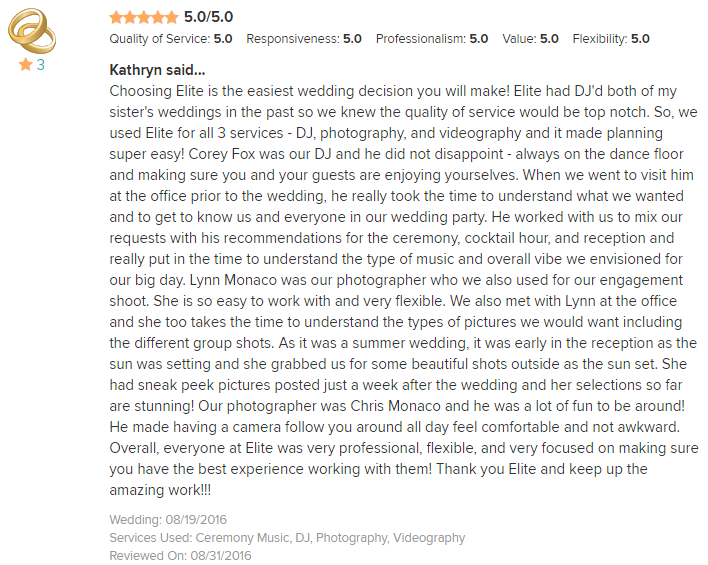 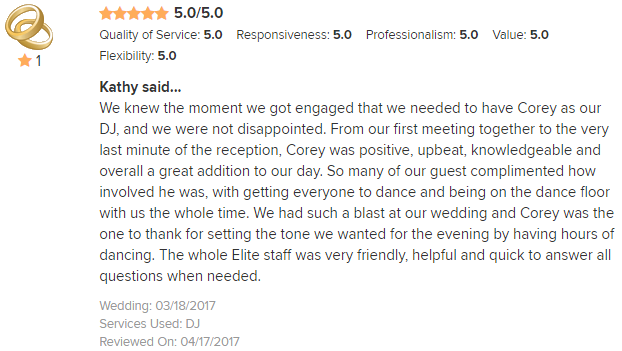 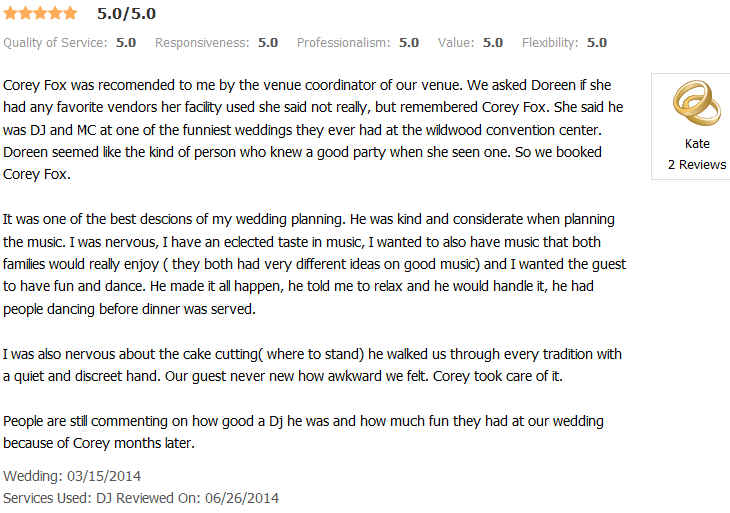 Corey specializes in weddings but his talents and maturity are also perfect for corporate events, birthdays, reunions and anniversaries. 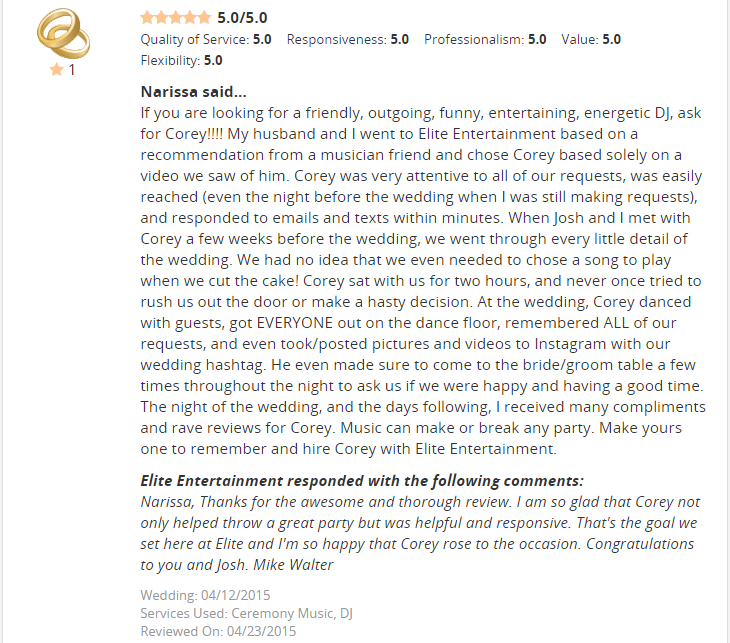 Corey signs all his emails and notes with the term “One Love.” And we suggest, if you want to “get together and feel all right” you reserve this fantastic entertainer right now for your upcoming event!